Ten Myths About Alcohol Debunked! Summertime is here! Vacations, boating, beaches, hanging out at the pool, surfing and lots of alcohol! 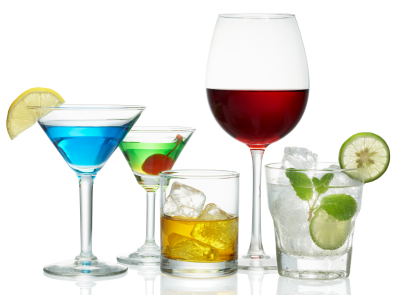 In fact, alcoholic beverages sell tenfold during the summer months compared to all the other seasons combined! While many of us enjoy the wonderful relaxing mental escape alcohol brings, these spirits come with some negative side effects like hangovers, added calories and, if you overindulge, liver damage! There are many time honored rules people believe about alcohol and today I will be going over some of these myths and offer you some tips on how to drink sensibly this summer and beyond. It’s believed that because beer contains much less alcohol than liquor, switching from beer to the harder stuff can bombard the body too quickly, leading to alcohol intoxication and vomiting. So, starting with the hard stuff first, followed by beer will prevent the world from spinning. FALSE!! The truth is, it’s the amount of alcohol you drink, not the type you consume or how they are mixed. 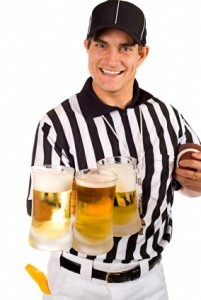 Whether its beer, wine or liquor separate or mixed, the key is pacing yourself wisely. It’s a common belief that, because of the color and thickness of dark beer, if you’re concerned with your figure, you should reach for the lighter colored beer. FALSE!! Just because “light” beer is lighter in color, people assume this means it’s a light-bodied, lower-calorie beer. Actually, the color comes from the type of grain the beer was made from. This color is directly related to the beer’s malt content and the rich flavor comes solely from the roasting process. This doesn’t mean it packs on more pounds or contains more alcohol. For example, Porters and Stout beer is very dark in color but actually has lower alcohol and caloric content than light beer. A couple other examples: Victory Brewing Golden Monkey, although extremely pale in color contains a whopping 9.5 percent ABV (Alcohol By Volume) and 300 calories per 12 oz. On the other hand, Samuel Adams’ Black Lager, contains a mere 4.9 percent ABV and under 200 calories per 12 oz. Eating after drinking reduces a hangover. 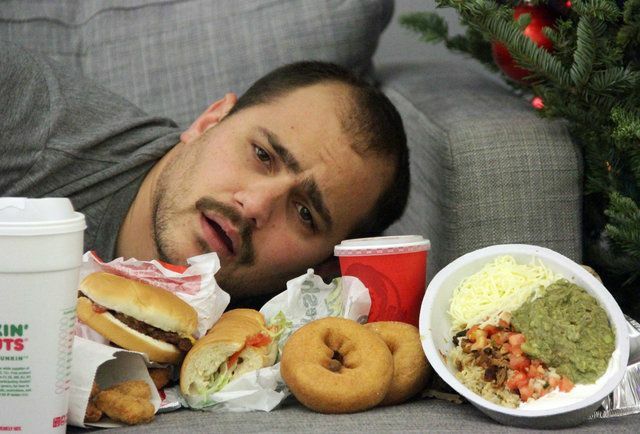 Many people at clubs and bars stop drinking at midnight and switch to greasy comfort foods like pizza and hamburgers to sober them up before the place closes at 2 am. It’s also believed that eating food will lessen the chance of getting a hangover. FALSE!! 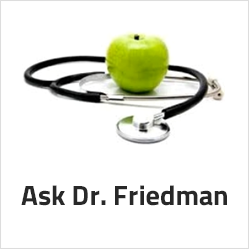 The fact is, by the time that food hits the stomach, the alcohol consumed has already been absorbed into your system. The combination of alcohol and greasy food makes the liver work harder and can make you feel worse in the morning. If you want food to help slow down alcohol absorption, consume it before you start drinking. We’ve all heard about that expensive 20+ year old bottle of wine being saved for that special occasion. 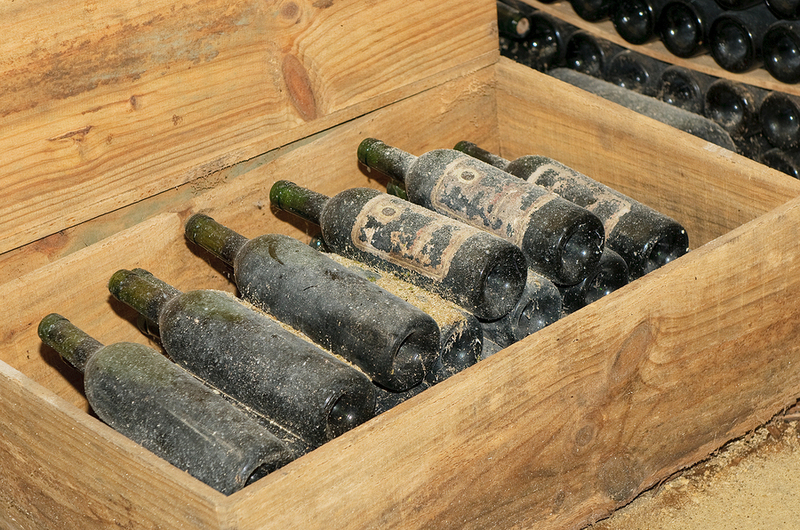 Aged wine is believed to be more complex in flavor and of a higher quality. So store that bottle of wine for as long as possible before uncorking it. FALSE!! While there are a few wines that do get better after being stored in a wine cellar for several years, MOST of them are meant to be consumed within one year of production and actually get worse over time. A wine that sits past its intended expiration date loses it’s flavor, antioxidant content and will end up tasting like turpentine. Beer is a good workout recovery drink. There is some research showing that beer can rehydrate you better than water. And, who doesn’t love a nice cold brewski after hanging out in the hot summer sun? Beer also contains vitamins and minerals you don’t get from drinking water. 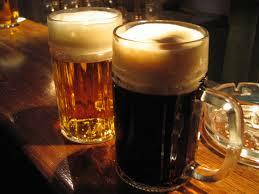 Plus, the carbs in beer help replenish energy stores. FALSE!! Research shows only a SLIGHT rehydration benefit in the athletes tested. Also, when alcohol reaches the liver and pancreas, it causes oxygen to leave the bloodstream more quickly, which inhibits the transport of digestive enzymes and essential nutrients through the body. This slows muscle growth and impairs the metabolism of carbs for energy. Sound like something you need after a long run or work out at the gym? Skip the beer! 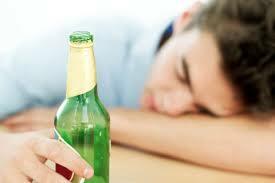 Throwing up helps you sober up and prevents hangovers. It’s believed that getting rid of the alcohol that has not been absorbed by the stomach will decrease the negative hang over effects the next morning. FALSE!! Your body absorbs alcohol the second you consume it, so getting rid of the small amount in vomit won’t make much of a difference. If you are at the point of vomiting, you are beyond the point of escaping that hangover that awaits you the next morning. 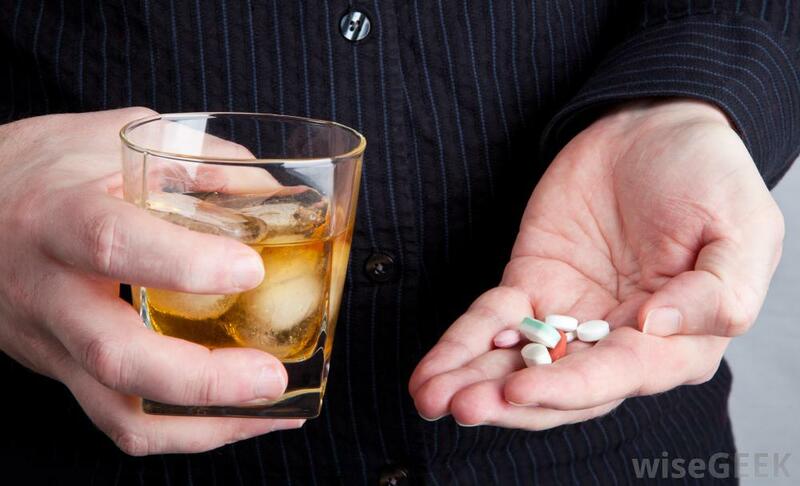 Taking Aspirin or Ibuprofen before heavy drinking can reduce hangover effects. How convenient, just take a couple pain relievers before you go out and get schnockered and you’ll feel great the next morning with no headache! FALSE!! Taking painkillers before drinking is a deadly combination. In fact, if you take Ibuprofen (Advil, Motrin) 2 hours prior to or while consuming alcohol, this increases your risk of developing kidney disease by 60%! Taking Acetaminophen (Tylenol) 2 hours prior to or while drinking alcohol, increases your risk of liver decease by 40%! Taking aspirin with alcohol can erode the stomach and also lead to an inflamed liver, which actually allows MORE alcohol into the bloodstream, resulting in potential liver damage and higher than normal blood alcohol content and liver damage. Drinking coffee will sober you up. That sobering java jolt reduces the effects of alcohol, wakes you up and reduces the fatigue brought on by late night drinking. FALSE!! 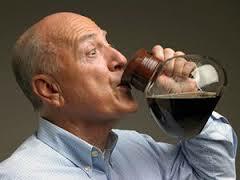 Coffee dehydrates the body and makes a hangover worse. After a night of drunkenness, its best to avoid anything with caffeine. Instead, drink plenty of fresh water to hydrate you and replace lost electrolytes… especially if you have been vomiting. While caffeine will definitely increase alertness, it will not speed up the process of eliminating the bad stuff from your system. Instead of coffee, make a cup of Ginger Tea, a great herb that has been used to treat nausea and sea sickness. Add some lemon juice and a little honey and relief is just a few sips away! Alcohol helps you relax and sleep better. There’s nothing like an evening glass of wine or cocktail after a long day at work. They help you shut off your mind, relax and fall asleep. FALSE!! Alcohol disrupts your sleep. While a nightcap can help you doze off faster, it undermines the quality of your sleep. You don’t spend as much time in the important REM sleep cycle and you tend to wake up too soon. If you want to drink something at night to help you fall asleep quicker and remain there, drink tart cherry juice. 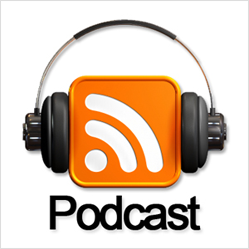 This will help you sleep better and also puts you in a good mood because it increases serotonin, your happy hormone. Wine is the best choice for the least hangover. Wine has always been considered that “safer” beverage. Think about it, when’s the last time you saw someone throwing up at a concert bathroom stall after having too much wine? FALSE!! 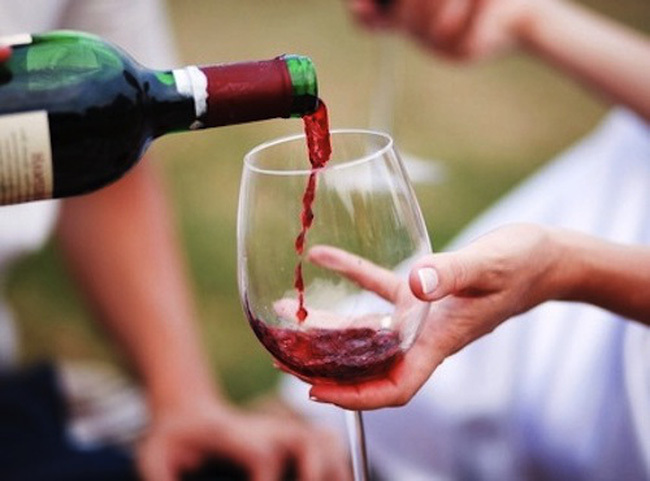 Red wine contains tannins, compounds that are known to trigger headaches and nausea. Malt liquors, like whiskey, also tend to produce more severe hangovers. 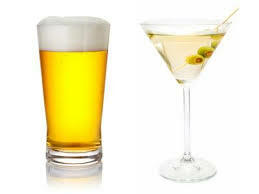 For the gentlest choices, reach for beer and clear liquors like vodka and gin! PS. 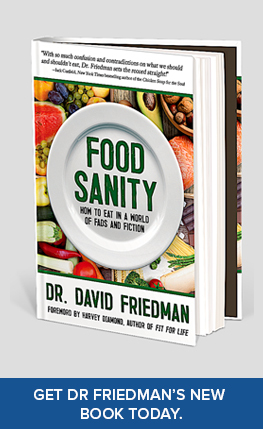 For the latest Food Myths busted, be sure and check out my #1 National Bestselling book, Food Sanity, How to Eat in a World of Fads and Fiction.